Earlier this year, The Atlantic announced plans for a major expansion, in part, thanks to years of profitability and the support of the Emerson Collective, which bought a majority stake in the company in 2017. Today, the company said it will add 10 new positions, all writers and editors. The new positions will focus on coverage of politics and national affairs. The staff will include two new Pentagon reporters, three White House reporters, an editor and writer both dedicated to covering national security, a senior intelligence reporter, immigration reporter and politics reporter. 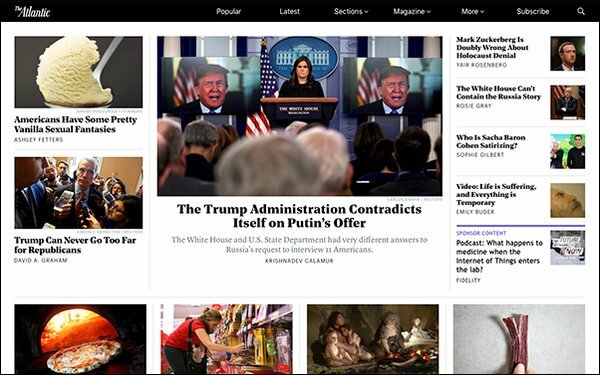 The Atlantic has made its political coverage a major focus of its 2018 expansion. The publication has added Vernon Leob, who began work at the publication earlier this month, after working for The Philadelphia Inquirer, The Washington Post and the Los Angeles Times. A pivotal aspect of The Atlantic’s recent hires is its newly formed Talent Lab. The Talent Lab was created specifically to recruit new voices and develop the publication’s current stable of writers. Christi Parsons leads the lab, which recently hired Todd S. Purdum, as the magazine’s California correspondent, Ellen Cushing, who will lead tech coverage in San Francisco, and a several other staff writers and editors covering family, tech culture and education. The newsroom will also add a global editor and several tech reporters to the San Francisco bureau.